As in recent years, consumers are continuing to turn to community-supported agriculture, also known as CSA programs, and farmers' markets for direct access to produce, meats, cheeses, breads, honey and other foods that are produced in nearby communities. The appeals of CSA's are many, including providing consumers with fresher products and a connection with the people who grow and produce these products. Also, buying from a CSA or farmer's market is more environmentally-friendly because the products do not have to travel as far. According to the U.S. Department of Agriculture's Agricultural Marketing Service, in the past 10 years, the number of local farmers' markets has more than doubled -- it is up from 1,755 to 3,706. Because they are so fresh, locally grown fruits and vegetables are often more nutritional than produce available through grocery stores; fruits and vegetables found at the grocery store, which constitute most of the produce grown in the U.S., is picked on average a week before it arrives on grocery store shelves, and shipped for an average of 1,500 miles before it's sold; USDA researchers have found that if it's not handled properly, produce can lose up to half its nutrients in transit. Water-soluble nutrients such as vitamin C are particularly vulnerable. Another food trend continuing in the U.S. through 2009 is the practice of eating functional foods; functional foods are enriched with nutrients that may not be innate to a given food. Examples include orange juice fortified with calcium or milk fortified with vitamins A and D. People like consuming these foods because they help fill nutritional gaps. 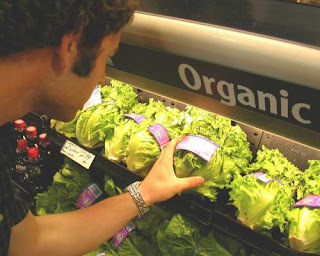 In addition to functional foods, organic foods remain to be a popular food trend in the U.S. Organic foods produced following a government-regulated practice of growing and processing that minimizes exposure to pesticides, herbicides and other chemicals used in traditional farming. 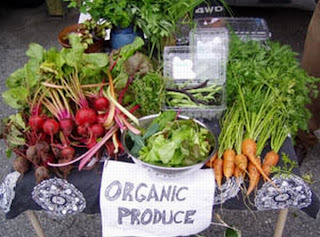 Organic food is one of the country's fastest-growing market segments. Many magazines like Eating Well, Vegetarian Times and Fine Cooking have begun out of this popular trend. Lastly, the slow food movement, launched 20 years ago in Italy, will prevail through 2009. The practice's principles include choosing locally grown and produced items, preparing them in traditional ways and eating with friends and family to celebrate a relaxed approach to living that provides a welcome contrast to the fast-paced, eat-on-the-run lives many people lead. For more on the slow food movement, read food magazines like Gourmet, Bon Appetit and Food & Wine. For more food magazines, visit http://www.magazines.com/category/cooking-food Jessica Vandelay is a freelance writer in New York City.